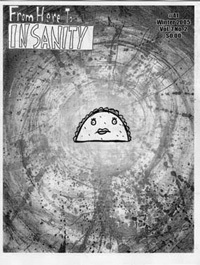 For six-and-a-half years, From Here To Insanity was a humor magazine consisting of comics, articles, fun, games, and, uh, other stuff. Our flagship publication, it was the birthplace of such beloved characters as stoic chums Hog & Dog, blood-sucking blogger Vampire Joe McCarthy, brain-eating president Zombie Reagan, stick-figure superhero Stickman, Anthropomorphic Republican Talking Duck, and the nonsensical comic Happy Taco. The magazine for teen girls! I started working on this in 2004, then I stopped, then I started again in 2006, then I stopped. Estimated publication date: June 2027.
Who knows what this project will be?? Maybe a collection of comics?? If you are a close friend or associate of the company, you just might find yourself the lucky recipient of a one-of-a-kind mini-publication made just for you! If not, you're just plumb out of luck. 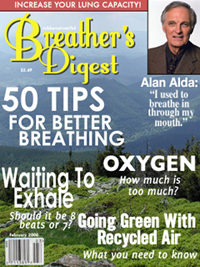 The must-have magazine for breathers everywhere. 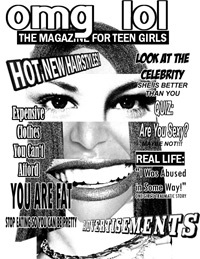 The newsmagazine for teen girls! * Pull-out poster of Democratic dreamboat Barack Obama! * One-on-one with Nancy Pelosi in "girl power"
For about twenty years, Doctor/Congressman/presidential hopeful Ron Paul (R-TX) put out a series of newsletters under his name that were filled with racist, homophobic, and downright paranoid comments. In 2001, he distanced himself from the content of the newsletters, claiming they were ghostwritten. 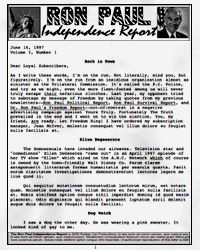 We are pleased to announce that we have managed to track down the ultra-rare inaugrual issue of the Ron Paul Independence Report, which provides a fascinating glimpse into the mind of a man destined become a revolutionary figure in American politics. 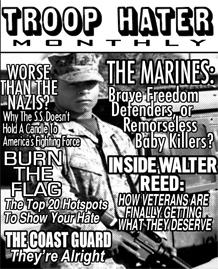 An ill-advised foray into the niche world of anti-soldier publishing, Troop Hater Monthly was discontinued after only one issue due to its failure to make a profit. An entry into the bludgeoning field of high art mags, each issue of Metropolitan Conceptualist featured sixty-four pages of the exact same photograph.